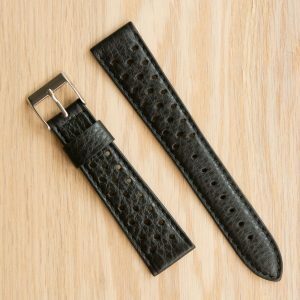 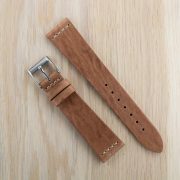 Leather (calf) strap, 20 mm. 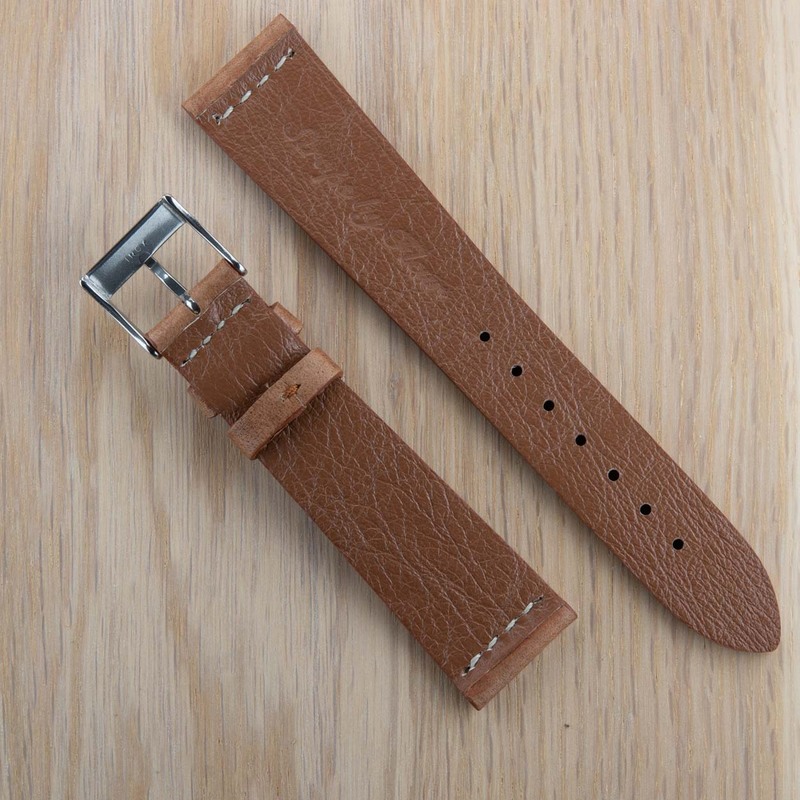 Light brown color with white stitching. 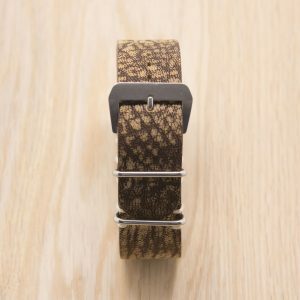 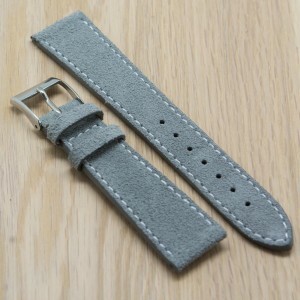 The strap is delivered with a stainless steel buckle. Straps are hand-made in Italy.